Discussion in 'Creations' started by AlexanderNL_, Dec 12, 2018. 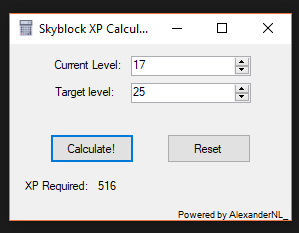 Hello everyone, I made this little tool that can calculate the amount of XP it takes to get to a certain level. This is a GREAT idea! And very helpful! 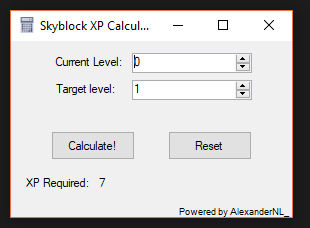 if there is a way to make this an add-on for the server it would make it much easier for giving/selling/buying and figuring out how much XP is needed to get to a certain level. Thats cool that would help on Factions thanks.